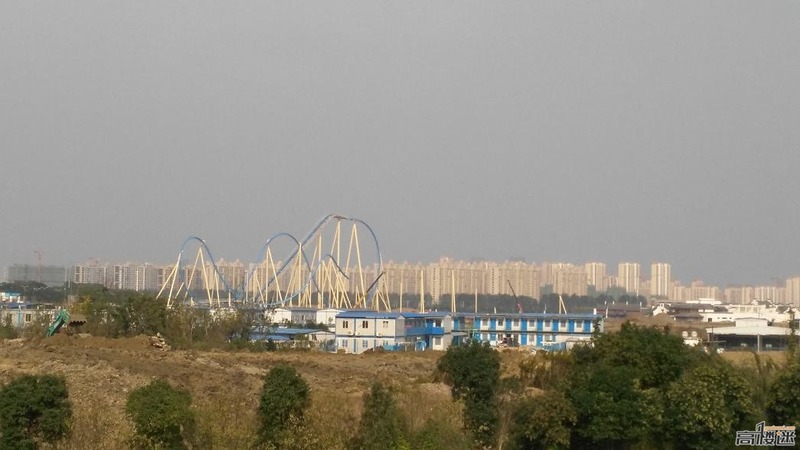 Wanda City, the new park in Wuxi, China, begins to take shape. Artwork for the surrounding area of the park can be seen below. It really is quite the huge drop! 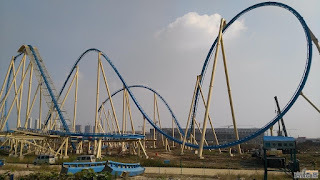 I'd love to see a Storm Chaser-type inversion drop in the future on one of these! The surrounding area is still very much dirt by the looks of it. Typical drawn out elements, graceful and smooth. 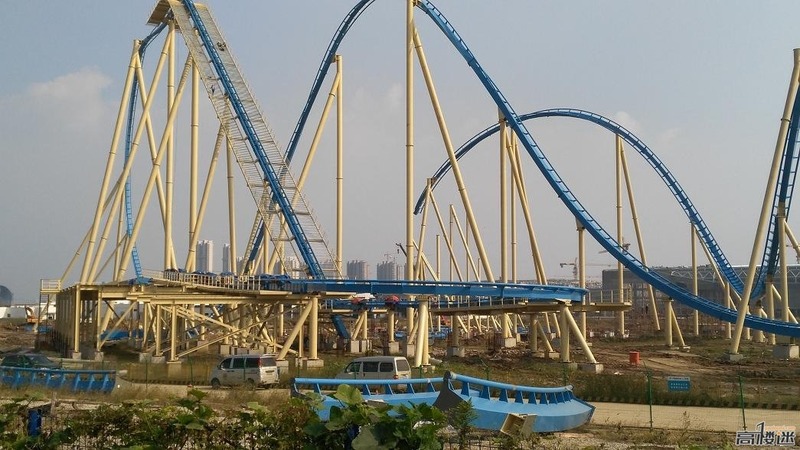 These coasters are very re-rideable. Graceful. 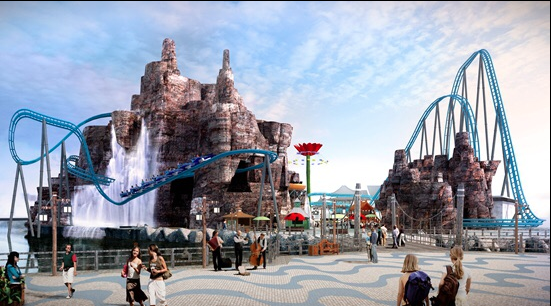 The new coaster will have a height of over 196 feet, taking the title of highest inversion. 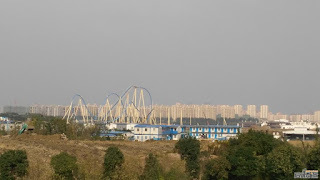 The track will come in over 4,000 feet long, and a POV by MiyaPA Masane on Youtube can be seen below. Totally uninspiring and odd layout, very high in the air too. The airhill is an odd choice in place of a third inversion specifically because it's ridden with shoulder restraints. 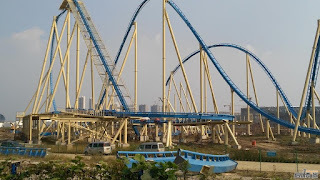 Will we ever get a wing coaster that isn't a let down? I've heard that that airhill will go over a waterfall, even more reason to go upside down over it! Possibly the few raised track portions will have some nice rock-work added, we can hope. 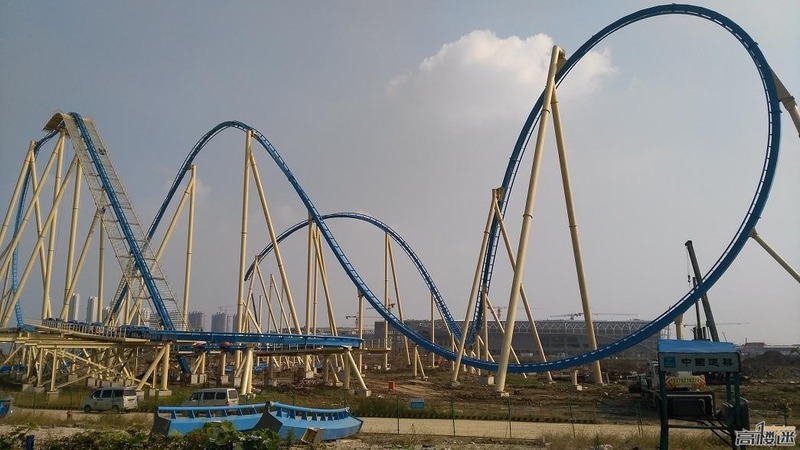 Generally it seems that these are tame coasters, and boy will I be excited when I'm 80 and these smooth rides are being built. 80 year old me will not enjoy Eurofighters, even though they're one of my favourites nowadays.